New technologies are allowing businesses to offer consumers a more convenient and personalised mobile experience. In recent years the travel industry has been turned on its head by technological advances. Travellers can now research, plan and book their trips online and online travel agencies are working to win the race to use the range of latest technology to enhance customer experience. Delivering a personalised and efficient experience for consumers has become the key to success in our industry. The companies that can meet this challenge have the potential to disrupt the whole sector, driving profits and customer loyalty. A big part of my focus at eDreams ODIGEO, since becoming CEO three years ago, has been on evolving our own technology and investing in our development capability to benefit the 18 million customers we serve every year. More and more often, we are seeing consumer demand for the level of personalised travel that technology can provide, with maximum convenience at the best price. In my opinion, online travel agencies like us are uniquely positioned to deliver against these needs to the benefit of our customers and the travel industry as a whole. Our scale, as the largest online travel agency in Europe, enables us to develop a broad range of capabilities with the largest in-house team dedicated to technological development of any airline or online travel company in Europe. Recently, we announced that scaling up machine-based learning technology has strengthened our ability to provide a truly personalised service to travellers. This technology can predict potential customer needs by studying aggregated and anonymised bookings, while ensuring the confidentiality of our customers’ data. In developing this machine-based learning technology, our aim is to present customers with the most relevant travel options for them, from the cheapest and most convenient flights to the most useful additional services like travel insurance and transfer options from the airport. The algorithms we use make approximately two billion predictions for what might best suit each customer every day, allowing us to personalise at scale – a feat that would not have been technologically possible several years ago. Since the technology’s implementation, all of our leading travel brands – eDreams, GO Voyages, Opodo and Travellink – have recorded a 10% increase in the rate of customers including ancillary products with their travel bookings, such as baggage, seats or insurances. In some scenarios, we have seen flight bookings increase up to 50%, driven by a personalised offer, adapted to each customer. To support a team of 400 software engineers, and ensure an ongoing focus on machine-based learning across our business, we embed data scientists throughout our organisation to continually improve customer experience, identify potential issues in real time and positively impact business results. Every day, these talented experts, recruited from all over the world, are developing and implementing new algorithms across the organisation. Over the last few years, our development team has also been focusing on migrating our software to Docker to improve our customers’ experience of our website. This software migration means that our servers are better equipped to adapt if a change requires more traffic than originally expected, meaning that we’re able to increase the frequency of our software improvements and any improvements to our sites will go live for customers more quickly. The investment in machine-based learning technology is also being aided by this transition to Docker, as we are able to put a set of microservices into reality in a fast and agile way. Another business benefit of the move to Docker is that the cost of rolling out changes is reduced as we no longer need a dedicated team to launch each new software improvement. This allows us to redistribute our resources so that we can be even more effective in meeting customer needs. Undoubtedly, the use of this new technology is helping us to meet our customers’ needs more quickly. Another priority area for any successful online travel agency is ensuring they take a ‘mobile first’ approach to development. This approach is key for me. eDreams ODIGEO customers are moving rapidly towards mobile booking, and in our 2017 financial year we saw a 34% year-on-year growth in use of mobile for bookings. We believe that the key to meeting this move towards mobile in the travel industry goes beyond trying to translate a desktop booking experience onto a mobile device. Now that mobile roaming charges have been abolished within the EU, providing ongoing travel support to customers via their mobile devices has become more important than ever before. As consumers increasingly use mobile devices as their travel companions - storing boarding passes, hotel confirmations and train tickets - they expect travel apps to deliver timely and relevant support at every point of their journey. To meet this expectation we have introduced tailored alerts such as flight timing updates and luggage collection information to our apps, as well as city guides for top destinations. These extra services allow customers to take advantage of their smartphone’s ability to become the ultimate travel companion. This is perhaps the reason why we have seen growth in mobile bookings that outpaces that of other online travel agencies. On average, eDreams ODIGEO customers use mobile devices 37% of the time to book flights, while the industry average is just 24%. We’ve also noted particularly high rates of customer retention through our app. Our data shows that repeat customers are twice as likely to book their travel through mobile apps, which is further driving the growth of this channel. At the end of last year, we published our second annual eDreams ODIGEO European Traveller Insights Report which revealed new European traveller trends and booking behaviour from the past year. The findings from this report support my theory that disruptive technology is essential for empowering consumers to create tailored travel plans, so they can get the best prices and the greatest convenience on offer. For example, as part of our efforts to enable our customers to make their own expert choices, we turn the traditional travel booking model on its head by allowing travellers to split their journey across multiple airlines and offer over 155,000 flights. Our new data shows that over a third (36%) of our European customers flew out and back with different airlines in 2017, and this amount increased by 6% since 2016. Putting technology to work on behalf of consumers is enabling them to bag the best deal by using several airlines for the one trip. Another sign of increased consumer demand for technology to help tailor trips is a rise across several markets in bookings for dynamic packages. These are trips built by the customer to create their own preferred combination of flight (155,000 flight options), accommodation (1.7 million hotel options) and extra services such as car rental. 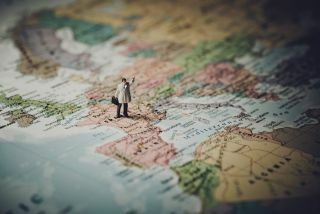 Overall, there has been a 15% growth in the number of European travellers booking a short break consisting of a flight and hotel, when planning trips that will last between two and six days. Dynamic packages offered by eDreams ODIGEO’s platforms create the best value option for consumers, providing discounts of up to 30%, which aren’t available when booking these same options separately. Our developers use the very latest technological expertise to compare and deliver more combinations of flights and hotels than any other site. We can create 3000 travel plans in 10 seconds - faster than the time it takes to tie your shoes. Technology will continue to change the travel industry landscape, accelerated by the increasing ubiquity of mobile devices and consumer demand for a personalised, one-stop-shop travel service. To succeed, online travel agents must be focused on making it as speedy and easy as possible for an increasing number of consumers to find the best value and most convenient travel options; getting them to more of the places they want to be.